Looks like the government is keen on having more checks and control over private networks, including your home or office! A new bill is set to be presented by the senate which will give the Department of Homeland Security(DHS) some regulatory control over private networks! The new bill called HR 6423 , “The Homeland Security Cyber and Physical Infrastructure Protection Act of 2010,” will let the DHS set cybersecurity standards for private networks that the government decides are critical. The HR 6423 bill aims at creating a new cyber security compliance division which monitors on risks especially to the .gov domain. The bill also requires DHS to work with private network operators to develop security plans to monitor networks for activity which may be damaging to their networks and the government infrastructure. With the new all network operators will be required to share proprietary information with the DHS including customer names and contact details. Experts say that the Government is reacting to the Stuxnet worm attack which crippled a Iranian Nuclear facility. However critics say that this will only create privacy issues as there is no telling who is looking at your information online. The bill considers Utilities, telecom, and finance are three key areas that DHS would begin intervening. 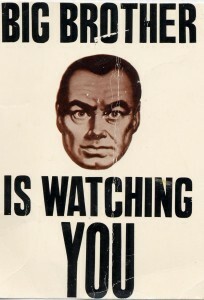 Homeland security will also monitor home networks of those considered “high profile” by the government. There is no info on how many private sector entities would face the new DHS oversight. DHS will have full authority to intervene and take control if ever a a security threat was detected. Some other private sectors even include Disney, Universal Studios, Banks and Wall Street. DHS will fine all those private companies who fail to adequately secure their networks. US Military Networks Fail – Get a “C” Grade! Next Intel Working on Thousand Core CPU!